Fixed keyboard handling in some VST3 hosts. Fixed VST3 support in FL Studio on Windows. Mitigation for compatibility problem with Universal Audio plug-ins in Logic X. Should prevent crashes until Universal Audio provides a fix. Scala tunings did not reload after a sample rate change. Fixed a bug that prevented adding MIDI links to some parameters. MIDI modwheel support was accidentally disabled in previous update. Fixed display glitch in Edit page. This installer can simply be run over your current installation to perform the update. This installer is a full installer so you can use it as a starting point if you need to reinstall from scratch in the future. 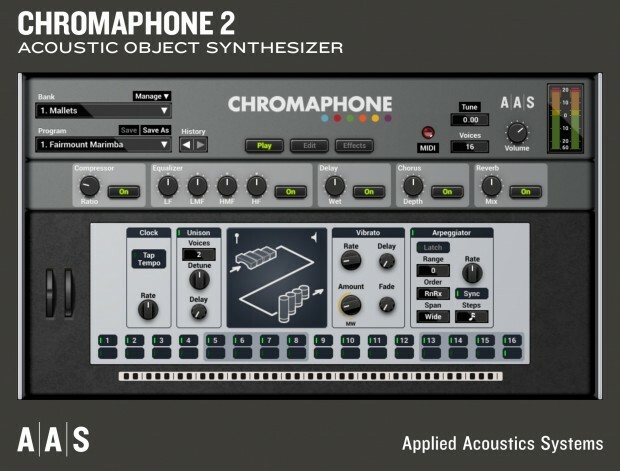 This entry was posted in DontCrack, Virtual Instruments and tagged AAS, Applied Acoustics Systems, Chromaphone 2, Update. Bookmark the permalink.